With this tour you have the chance to make the most of your stopover in Katakolon on your own. Your coach will take you from the port to the ancient city of Olympia, where you will be completely free to explore at your own pace. This is the sacred city and home to the Olympic Games dedicated to Zeus, with a priceless archaeological heritage_,_ which has earned the recognition of UNESCO as being a World Heritage Site. Our coach will take us from the port to the city of Olympia,where we will be completely free to explore at will. This ancient religious centre was the birthplace of the Olympic Games, which were held every four years in honour of Zeus to celebrate "divine peace": during the games all hostilities ceased and all wars were suspended. 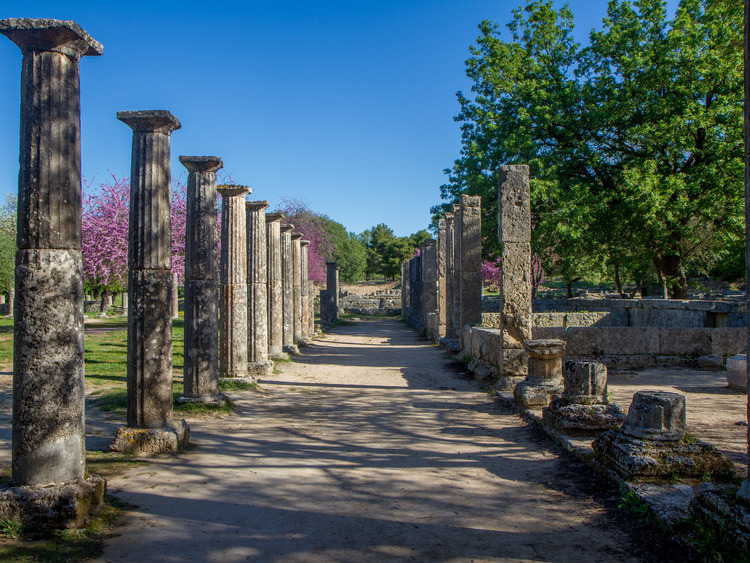 An important place of worship in Ancient Greece, Olympia still preserves remains of temples, monuments, theatres and sanctuaries, which bear testimony to the pomp and ceremony of the past. Entrance ticket to the Olympia archaeological site and Museum is not included in the price.